"Why do you indulge in quizzing? Can't you get all [un]necessary information about every damn thing in Google?." I posed these questions so flippantly as to sound cruel, to a dear friend of mine, an avid quizzer, whose debut book on quizzing, Biz World, was released recently. My friend became silent. He said, fumbling for words, "Well..You quiz because you love doing that! "Of course, I knew he could never give me an intellectual answer for questions pertaining to the heart. Even if he tried to convey, how it feels like when the neurons are rushing madly like million sperms, sieving through random zillion bits of memories, until one single neuron stumbles upon the elusive E-spot (Eureka!! ), the heart shrieks in orgasmic joy, shouting the answer in ecstasy!, I could have never felt that euphoric feeling within. I could simply contend myself learning about oxytocin, prolactin, those naughty chemicals responsible for post-Eureka bliss! This wasn't the case during my childhood days when the average quizzer in me delighted in remembering every book title I came across, along with the author's name. Watching Bournvita Quiz Contest in my vintage Telerama television set at home used to be an hour of intellectual fantasy, as I imagined myself attaining celebrity status, answering all questions related to books, sitting inside my drawing room. This quirky obsession with books helped me win a crucial tie- up round at Maggi Quiz in my school, as I hit the buzzer and my ego delighted in shouting my long name for the question, "Who wrote the book: My presidential years?". As I went further ahead in the next round, I realized I never knew a whole lot of things. I still remember that embarrassing silence to the question: What is the little one of a swan called as: [Yes, I know I sucked big time, I learnt it later, it was Cygnet] ", while my competitors began to perform break-dance, jumping in their seats to answer, mocking at my ignorance for not knowing such an easy question. 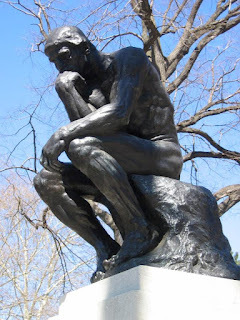 As I discomfortingly learnt to live with the limitations of my knowledge, I decided to pursue other interests, leaving quizzing to lesser mortals who never understood the simple obvious fact that it was impossible to know everything in this world! As I began to fall in love with the Internet, I became even more cynical of quizzing as it seemed so out of fashion in a world where Internet blessed humanity with not just information we are supposed to know, but also that which you never expected to exist at the first place. Everything seemed okay until last week, when I received a mail from Rahul, the guy behind the Bring BQC back movement in Facebook. While he enthusiastically shared his passion to bring Bournvita Quiz back on screens, I began to recollect in nostalgia those moments of love I had made with my ex-lover. I thought I had moved on in life, having made peace with her long ago. One fine day, while flitting through the channels, I felt the familiar pangs of love, while I came across Terra Quiz in National Geographic channel. The heart experienced brief moments of intense ecstasy and agony after several years, while I sat stoic, with no apparent uneasiness in front of my seven year old niece who sat besides me in the drawing room. I wasn't sure I wanted to show my emotions in front of her. Although I felt like changing the channel, my hands dared not to touch the remote. My eyes beamed in glee, while I shouted, Bacillus Thuringenesis before any of the smart school kids could answer the question, "What is Bt in Bt. Brinjal". My niece looked at me, with a smile that carried adulation and pride about her mama who knew the answer to the question asked in the TV. I was in seventh heavens. Pulling her to sit on my lap, I told her, "You should really try quizzing. Its so much fun to know!" She kissed my cheeks as her cherubic face, radiating with joy, was infected by my quizzing enthusiasm. I repeated the questions to her which were asked in the rapid fire round with answers, as we both sat and watched the quiz till the End. In seven years , she is already an expert in using the Web. She knows to play games in British Council Website. She googles many of her homeworks and earns good grades in class. While we have built a Mega Mind with the internet that knows everything, quizzing stands today defiantly like the last action hero against the vicious machines which conspire to colonize all the information in the world. The machine may know everything. It may get really intelligent over the years and also make fascinating connections, [thanks to semantic web] But it can never the conquer the undying spirit which exults in holding the infinity within its bosom, striving every moment to push the barriers of ignorance to the farthest, without succumbing to the machinations of a machine which is dumb enough to store every information in its bottomless pit of zeros and ones. By an act of monstrous reduction, it zombifies the knowledge teeming with life into a lifeless carrion made of zeroes and ones. How could it ever stand besides the infinite potential of the human imagination, which can weave even the most insignificant trivia into a fascinating tapestry with myriad colors and hues, with its warp and woof symbolizing the wondrousness of the human spirit.!! I want my niece to experience what it feels like knowing something by herself! It was started about 3 months ago & on our Facebook page we're targeting everyone who watched the show, likes to quiz & is smart! 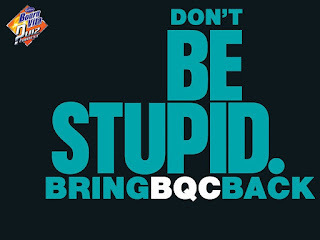 The goal is to Bring BQC back. Let’s start the golden days of BQC again! I am full of admiration and positive feelings. Very nice, clean and pleasant. All the best for the author. Really great article and i appreciate your explanation. I get it some new information through this blog. Its simple and perfect collections.